Amazingly brilliant detail of one window! 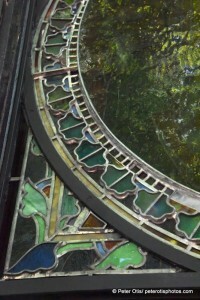 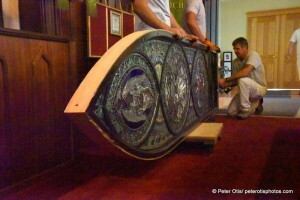 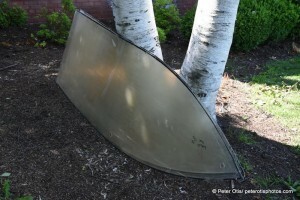 And to think that every piece of glass was in a box at one time after it left Branford and before it was returned to us! 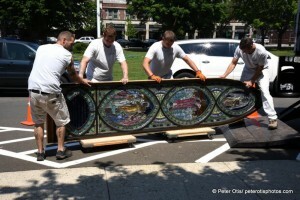 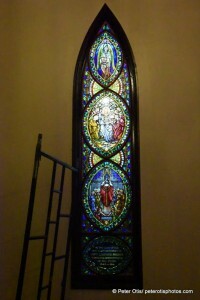 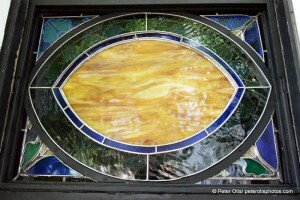 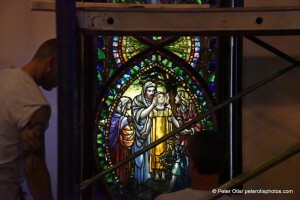 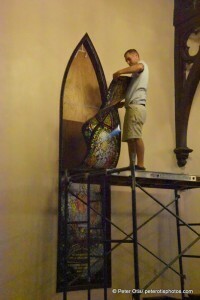 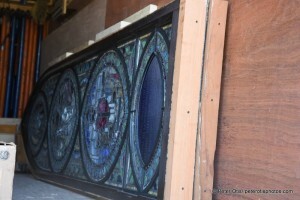 Our restored Tiffany windows are back! 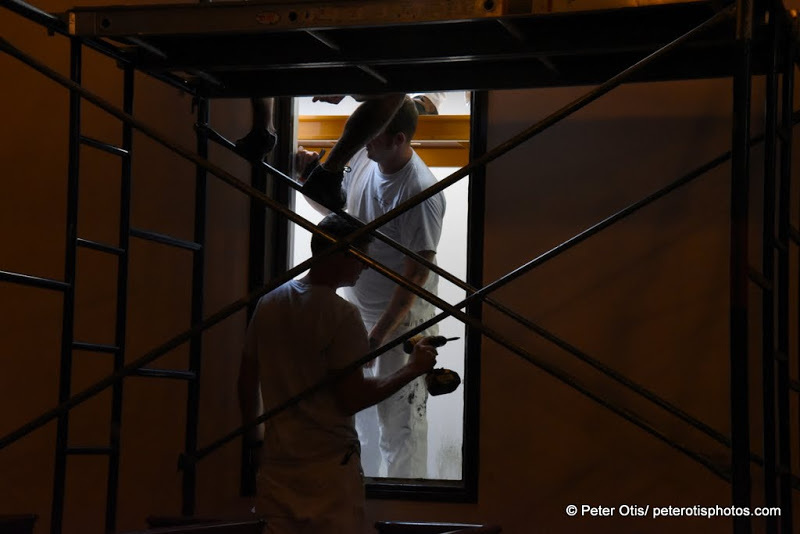 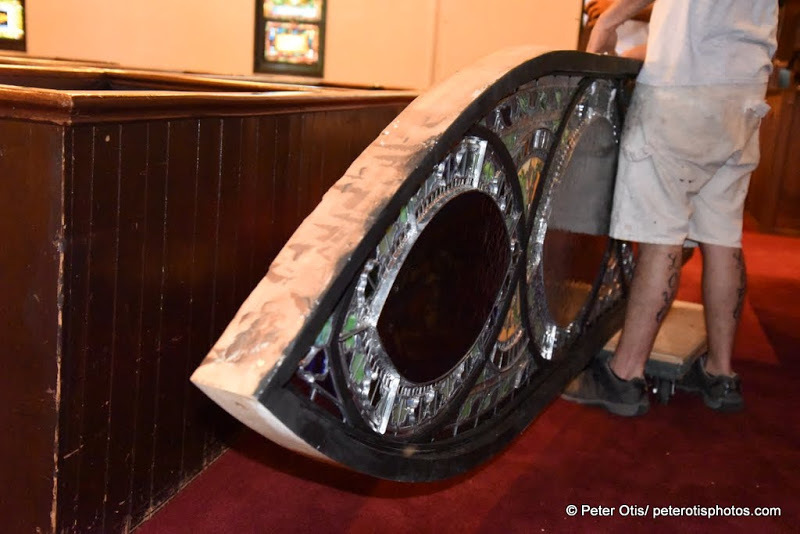 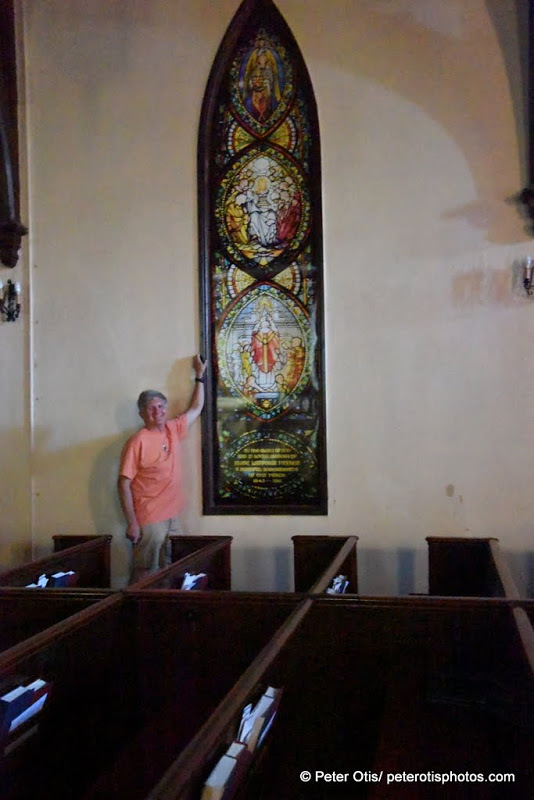 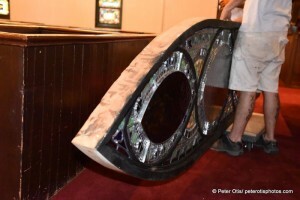 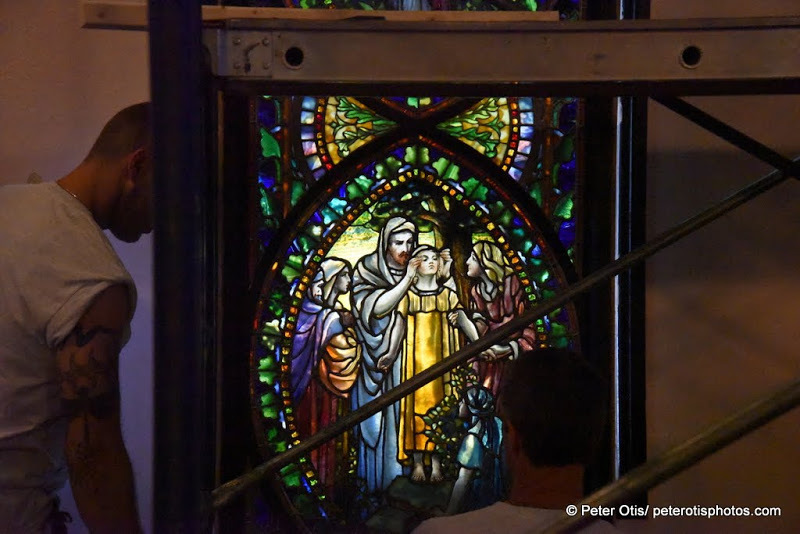 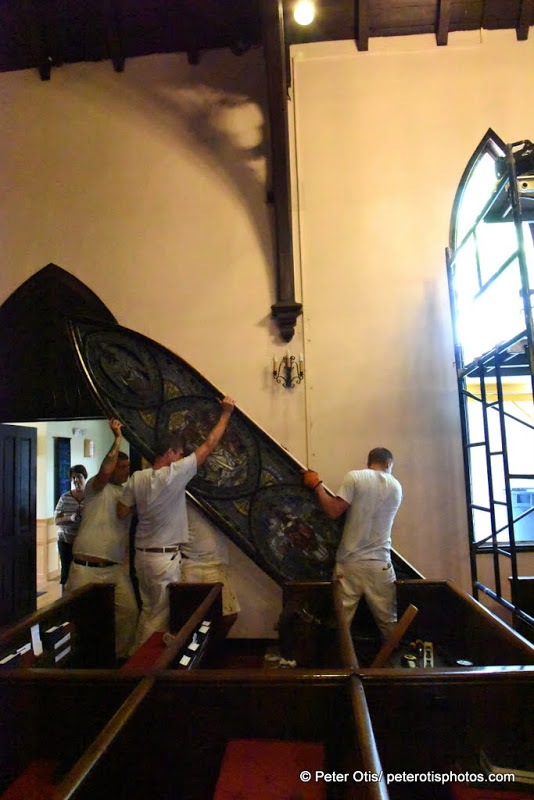 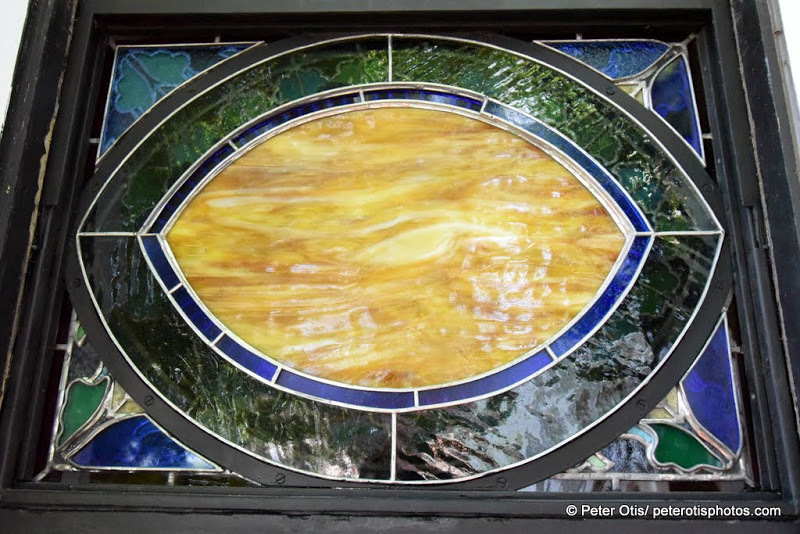 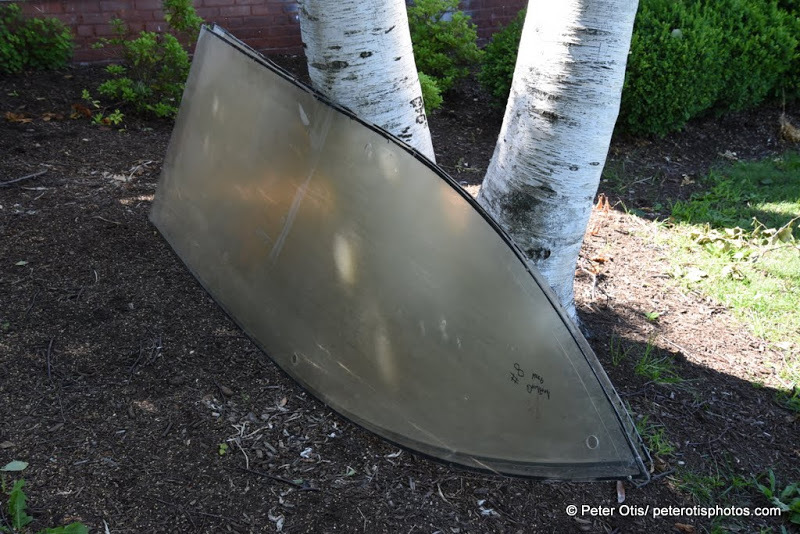 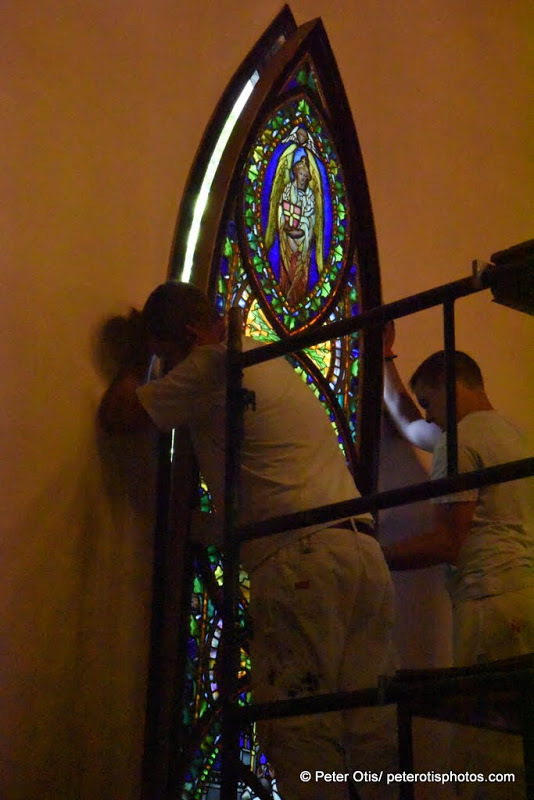 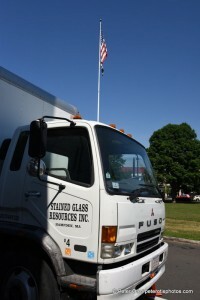 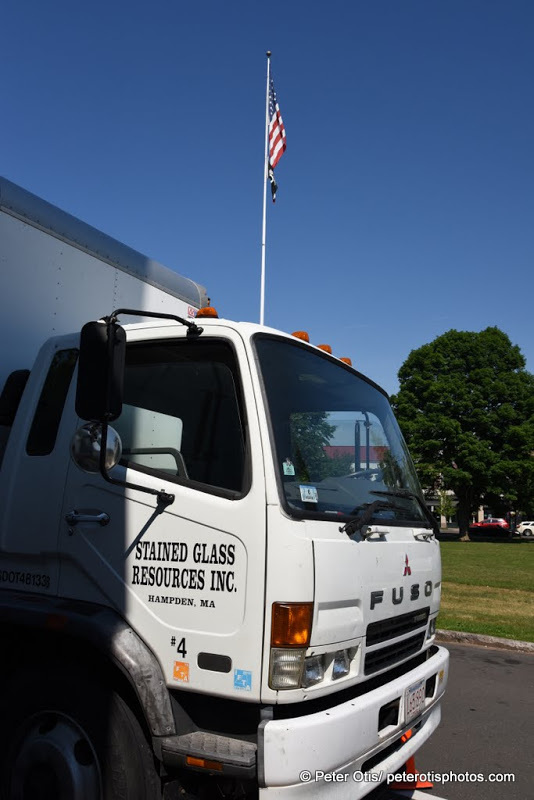 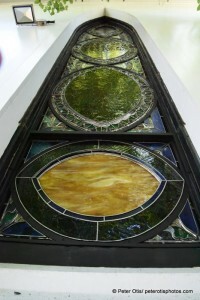 In early November last year workers from Hampden, MA-based Stained Glass Resurces, Inc. removed two of our old windows that needed serious repair. 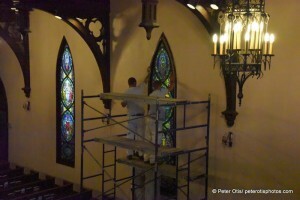 The windows came back this week and were placed in their proper locations. 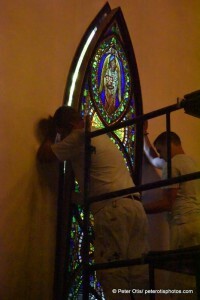 We are now preparing ourselves to see the windows “with sunglasses on” due to their fresh clarity and brilliance. 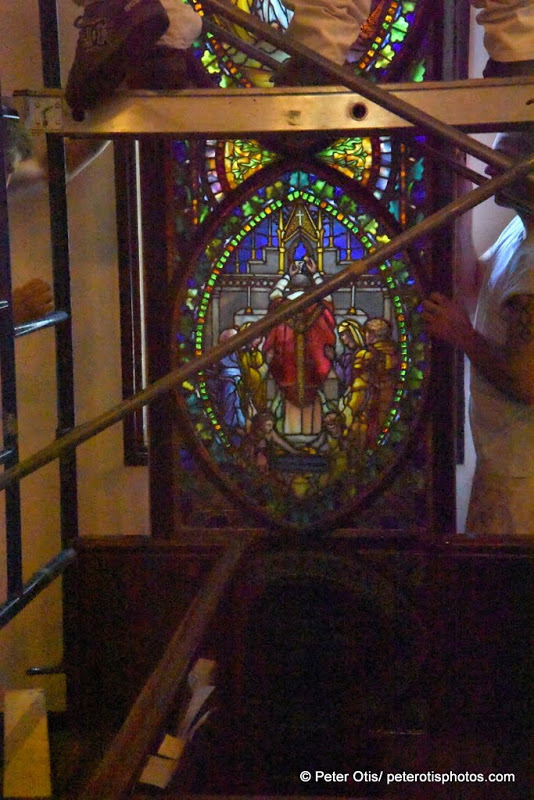 At some point in the future I will write a blog documenting the removal, intricate rebuilding of each window in Massachusetts and the re-installation yesterday. 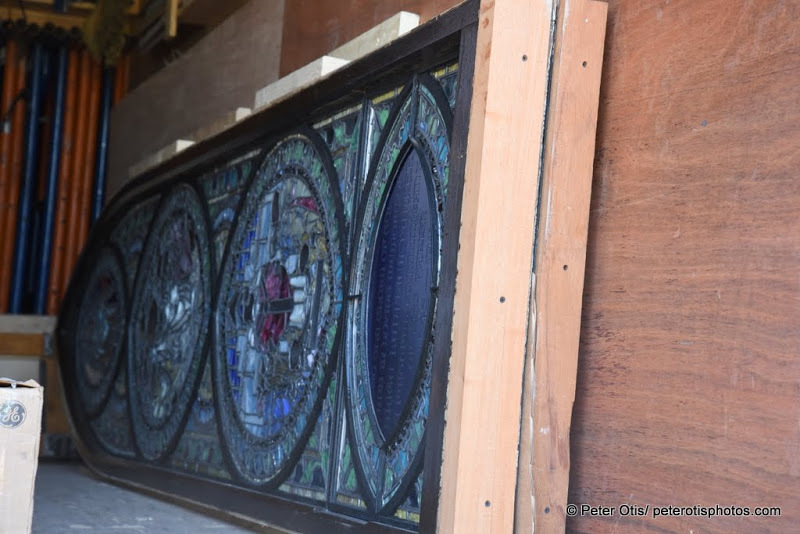 But for now, please enjoy these images, and as soon as you can, come to Trinity and see them looking as lovely as they did when they were made by the Tiffany Studio a long time ago! 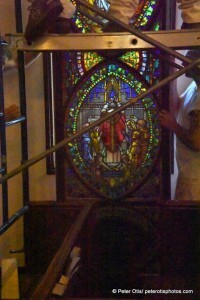 Our first picture of the window and its fresh colors!